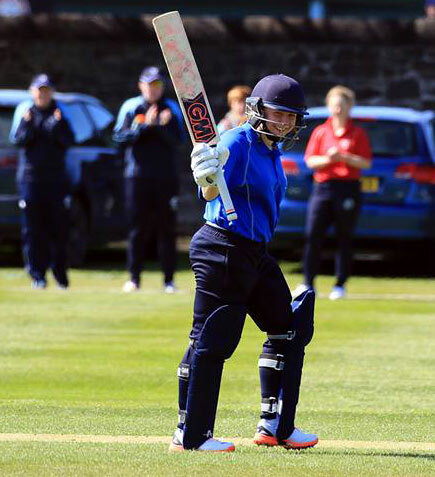 A half century from Lorna Jack an four wckets for Rachel Scholes helped the Stormers defeat the Eagles in the first match of the rebranded Scottish Women's Regional Series at The Grange. Jack struck five boundaries as she top scored with 66 as the Stormers posted 243. She shared an opening stand of 60 with Rachel Scholes (26), but the match defining stand was the 98 she added for the fourth wicket with Piryanaz Chatterji. Chatterji scored 47 at almost a run a ball, finding the boundary five times in a fluent knock. Lois Wilkinson (29) added late runs down the order in an impressive batting display. Hannah Rainey (3-34), Katherine Fraser (3-53) and Caitlin Ormiston (2-40) were the successful Eagles bowlers. The Eagles chase never got going despite the best efforts of opener Sarah Bryce. She ploughed a lonely furrow thumping seven boundaries in her 73 from 111 balls. There was no support however as the other ten batters could only muster a combined 42. Rachel Scholes (4-14) and Lois Wilkinson impressed with the ball.